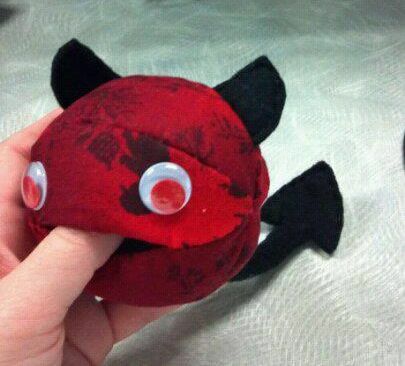 We’re not going to cover just any kind of toy in this article… we’re talking about softies! 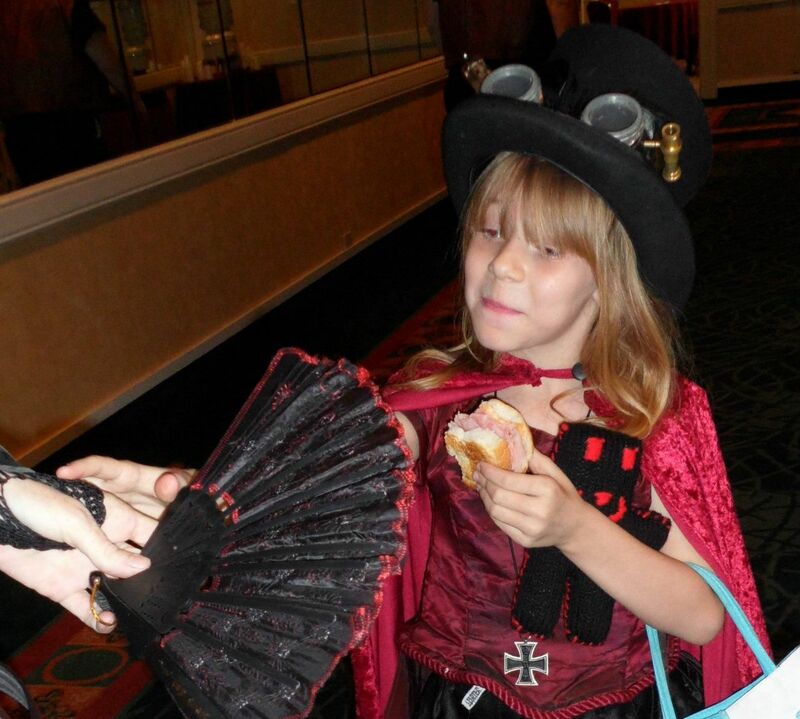 We’re going to talk about our toys and other toymakers in the Steampunk Community! First and foremost, we want to tell you about our toys here at Airship Horizons. 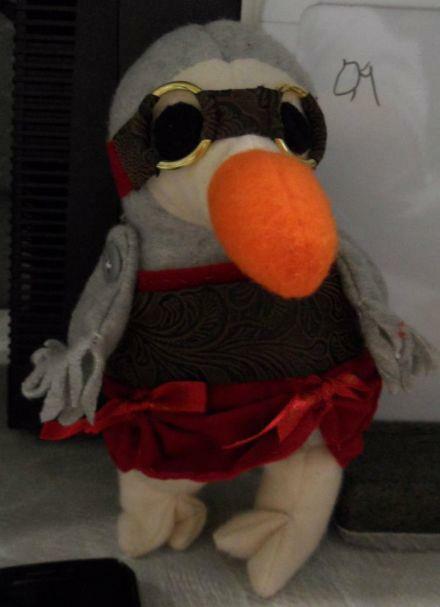 We call our brand of toys Steampunk Mascots. We have two types of mascots, the “Dapper” Mascots and the “Pet” Mascots. The Dapper Mascots are all typically made from the same pattern and come with two accessories, which you can mix and match, and even purchase more accessories! 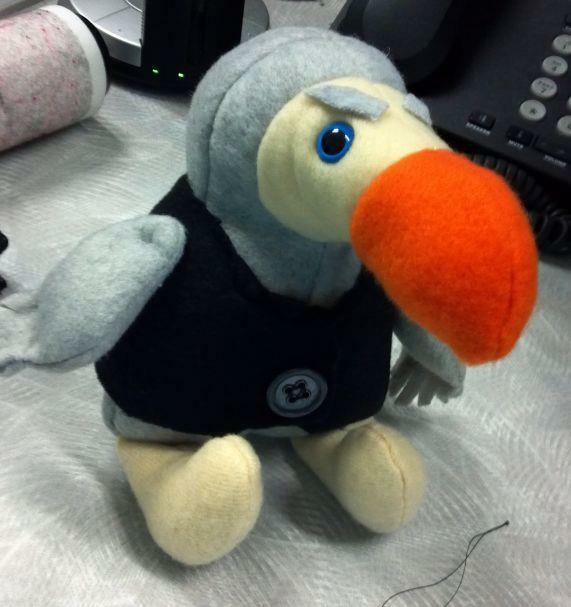 Most of the Dapper Mascots end up sold with a Vest and Tophat, or Vest and Tie. We are working on some new and improved Goggles for them too! 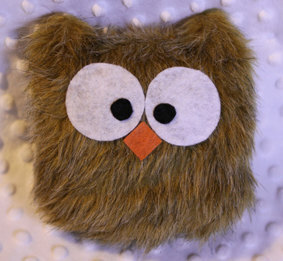 We have an assortment of accessories, from sew-on mustaches, monocles, flowers, and other little things. 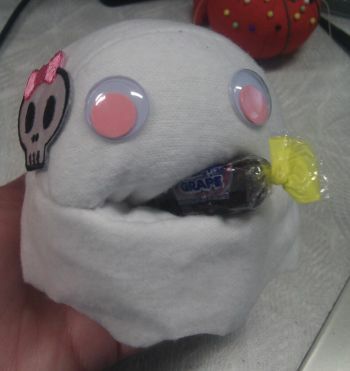 We also have some scented toys on the table… right now we have Chocolate, Vanilla, and Sugar Cookie aromas. The primary Dapper species are Dodo Birds, Jackalopes, and Monsters. The Monsters seem to be the most popular, so you’ll see a lot more of these around. 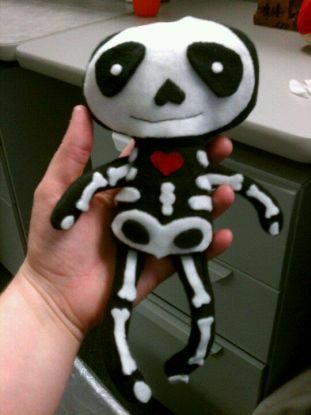 Halloween will debut Skeleton Mascots (made from another pattern). 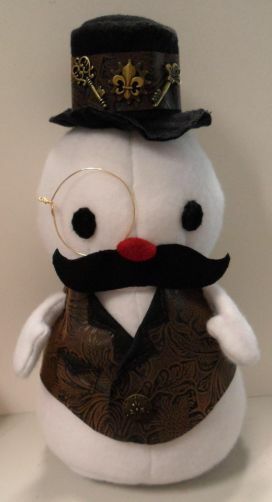 For Christmas, we have a pretty awesome Dapper Snowman “Mr. Merriweather”, and some Yeti’s to come! 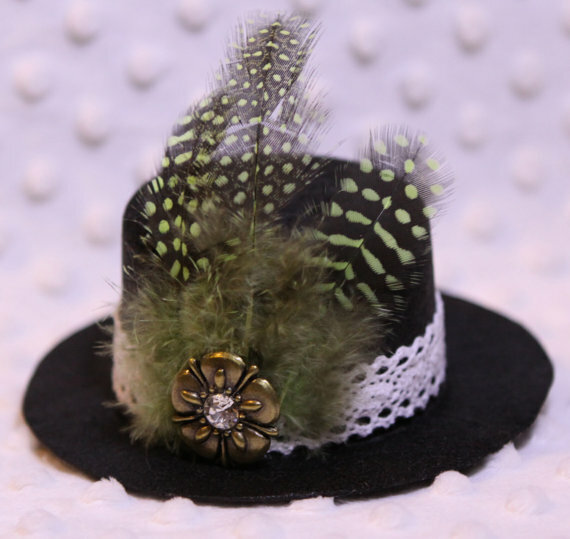 You might even see some Steampunk xmas hat accessories! 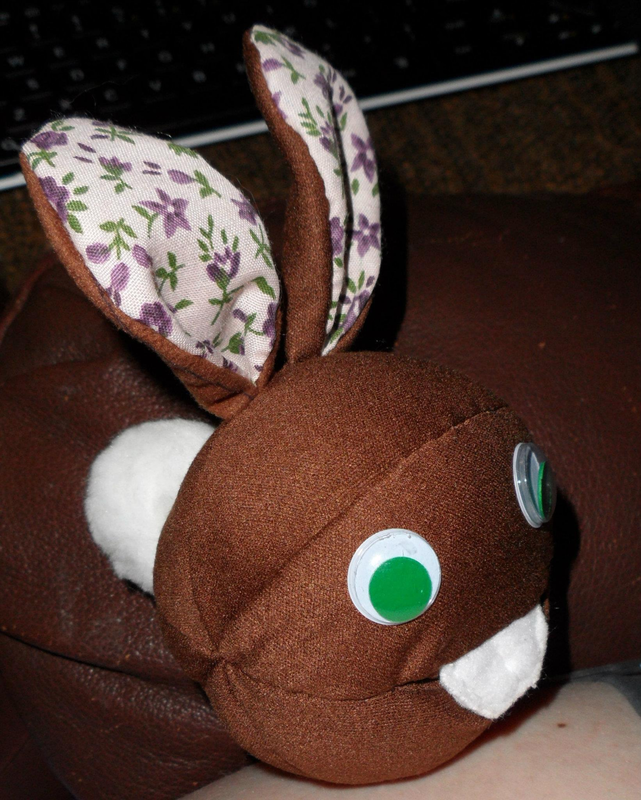 Easter will bring a bunny mascot to the table (very likely scented with chocolate). Who knows what else we might come up with! The Pet Mascots are varied and are sold without any accessories included. 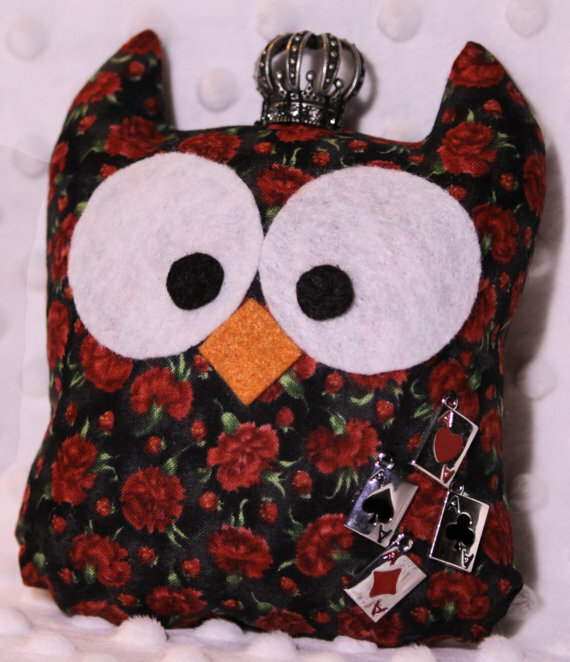 However, you can buy accessories to put on them too (with the accessories that fit or can be sewn-on). Some customers have been pretty creative with our toys! The Pet species are a range of random toys, but we regularly make Free-Standing Owls, Miyazaki’s (consisting of Chibi Totoro, Soot Sprites, and a Soot counterpart we’ve created called Flurries), Octopods (including both adults and cute little babies), Squids, and Platypus. We hope to add a Cuttlefish and Axolotl to the table in the near future. 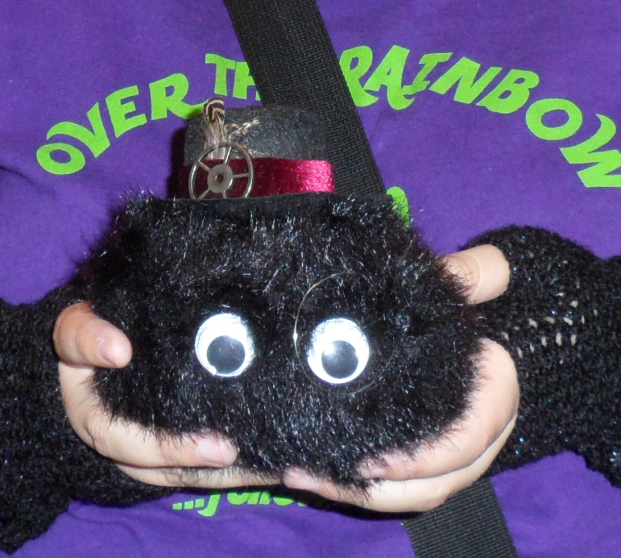 You’ll be seeing seasonal toys on the table, such as special little ghosts, bats, imps, and maybe even little tarantulas! Easter will have special scented bunnies. Just wait and see! We, also, take commissions! If you don’t see what you want on our table (or on the Mascot facebook page) you should still ask. We have resources for finding or making patterns. If we don’t think we can make what you want, you have a list of other toymakers further on in this article that we can refer you too! We are currently working on a Cuttlefish pattern (hopefully in it’s last draft), an Axolotl (still in early draft), and we have a pattern trade with Jesse Thaxton for her octopus. 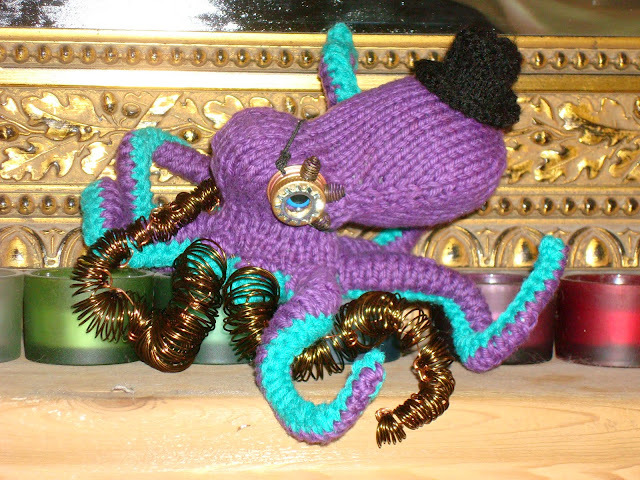 We’ll be making her Octopus on a smaller scale and promoting her very cuddly BIG octopus! In the trade, she has our new Squid and hopefully we’ll be seeing some BIG squids on her table! We have other plans in the works, but that’s all we have to share for now. As you may have guessed, we are willing to trade patterns with promotional respects (on a case by case basis). We can’t trade any of the patterns that we did not make (which includes any patterns someone trades to us). The way it works is, we will make and SELL toys made from patterns we receive. Anyone who buys (or admires) one of our toys, made with your pattern, we’ll let them know that it’s your pattern and that you make toys too! 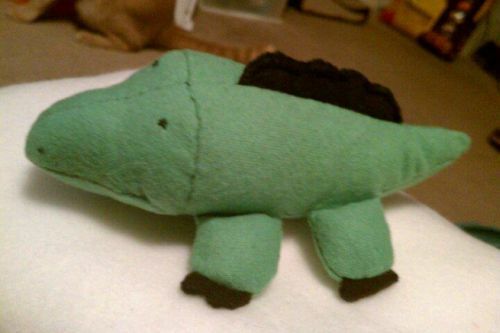 In exchange, you get to make and sell toys from our patterns and agree to promote us to anyone who buys (or admires) a toy made from our pattern. 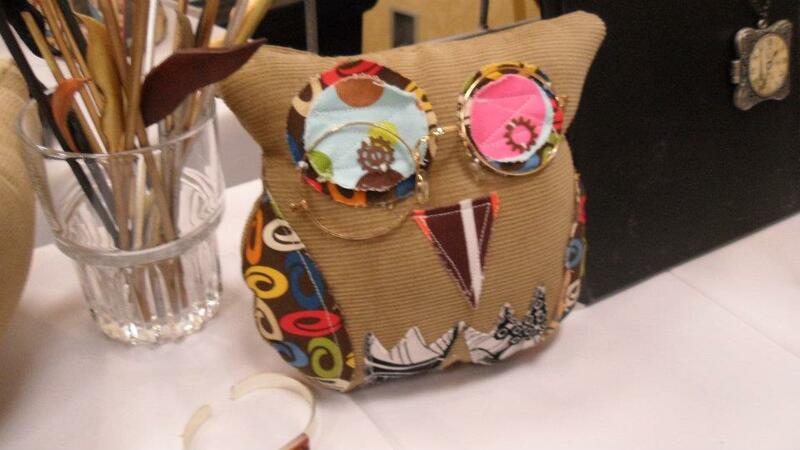 We will even post your name on our list of pattern credits which will be posted at the vending table. We can’t guarantee that we will trade with everyone; as it depends on how much time and space we have, and what types of toys we’re interested in… but if you are interested, let us know! Now that we’ve promoted the heck out of ourselves, it’s time to get to our toymaking friends in the community! The photo on the right was taken by CyphonCon. 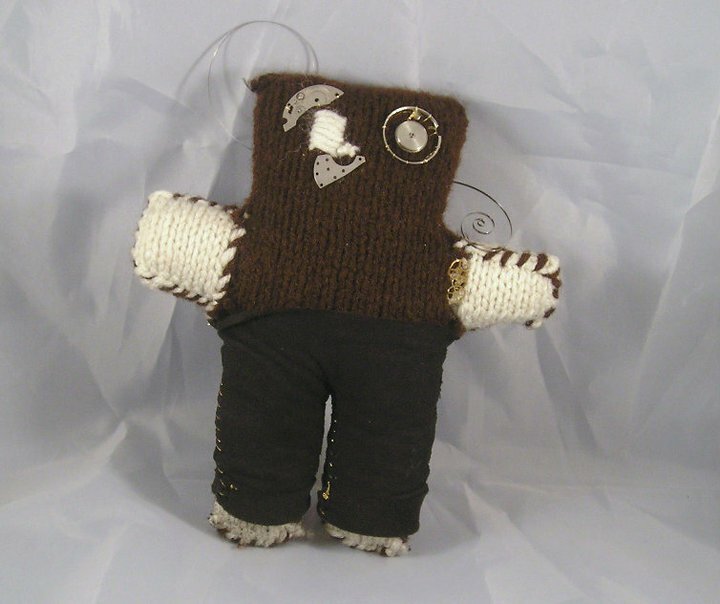 The Radical Bears created by Amelia Thompson of Radical Works display a unique style, mixing a teddy bear with a humanoid doll. Radical Bears can either be cuddly toys alongside the traditional teddy bears, or companions that can be clothed and customized. 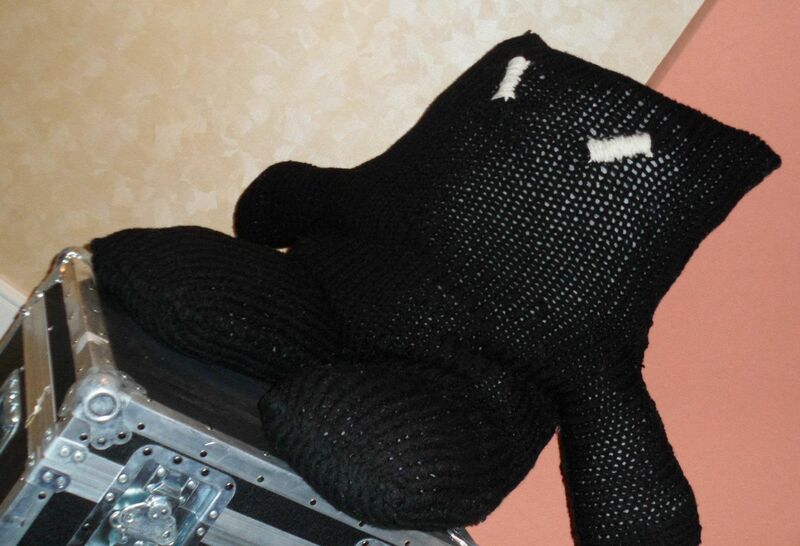 The first Radical Bear was created in the Spring of 2010. Amelia named that bear “Gramps”… after all he is the oldest bear in Amelia’s possession. 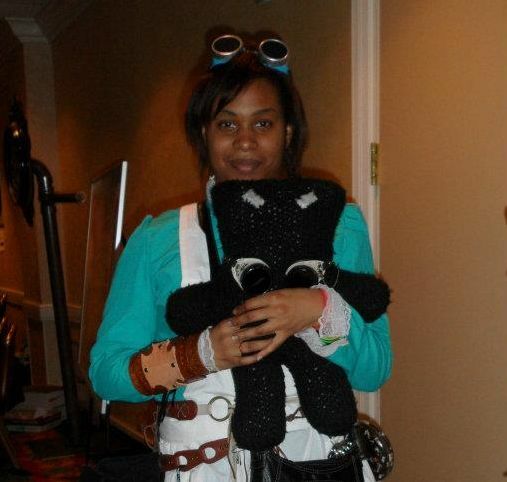 In August of that same year, Amelia knitted a completely black colored bear for Louisianime II, her very first convention as well as the first convention she sold at. 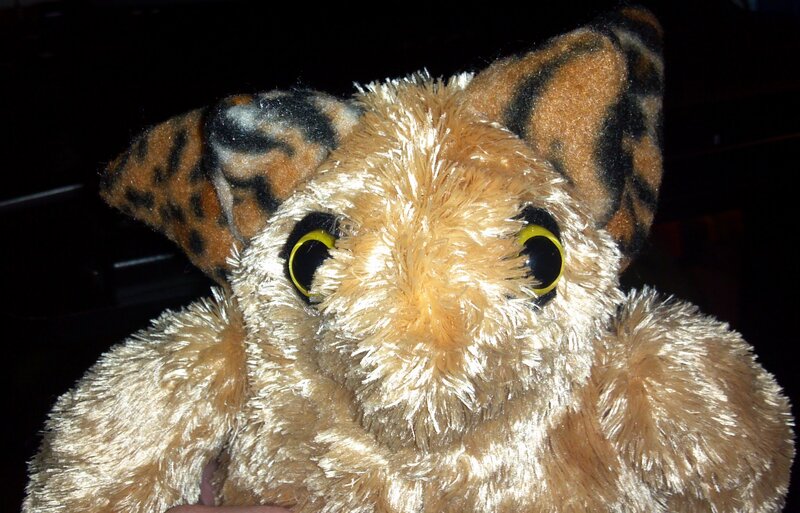 It was there that she named that bear “Bubba” (as seen in the photo below) and decided not to sell him. Since then, more than 90 bears have been made. Each new bear is a sibling to Bubba, with only a handful of bears being older than him. The photo to the right is a very comfortable Cpt. Delacruz of the Neo Dulcimer! Each bear takes two to three hours to complete, and the tiny versions of the bears only take a little more than 30 minutes. The sizes of the bears range from two to thirty inches, with the largest being Amelia’s Borgo, who stands at 3 feet 7 inches, with a 53 inch waist. The Radical Bears can be fully customization, from their color, texture, and even their style. 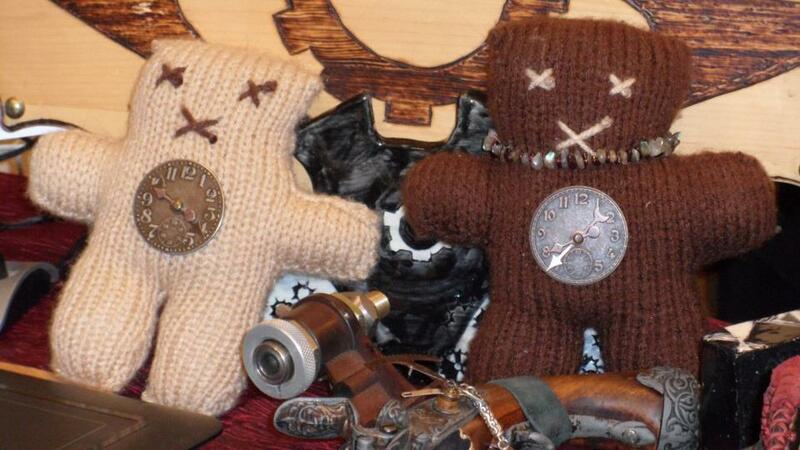 Steampunk Radical Bears are the most popular style and the most requested. 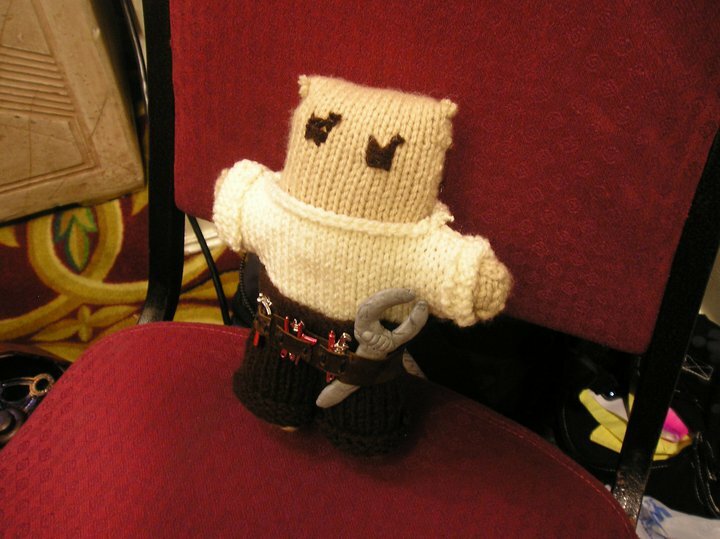 The very first Steampunk Radical Bears were given to the Airship Isabella & Airship Neo Dulcimer as birthday gifts, at Ikkicon, New Year’s Eve of 2010. 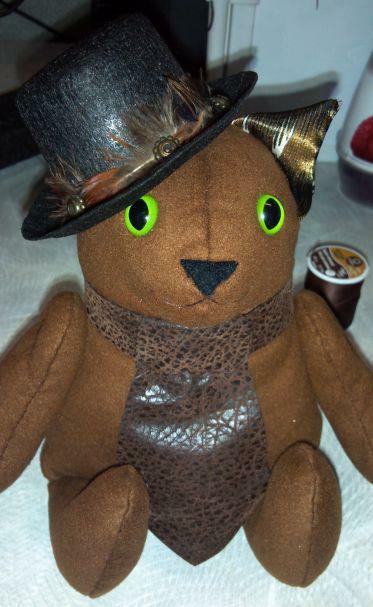 Others featured in the Steampunk community include the Order bear of Steampunk Intrepid, a Steampunk Mechanic Bear of the Airship 67, and RFC’s companion of the Sky Dogs. 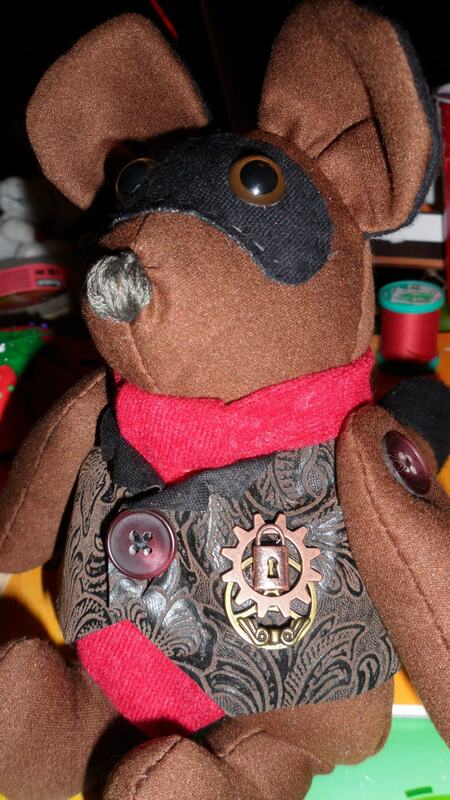 A few other Steampunk Radical Bears exist, and continue to be companions to those who own them. Since the opening of Radical Works in September of 2010, after her experiences at Louisianime II, Radical Bears have been sold across the United States and the United Kingdom. 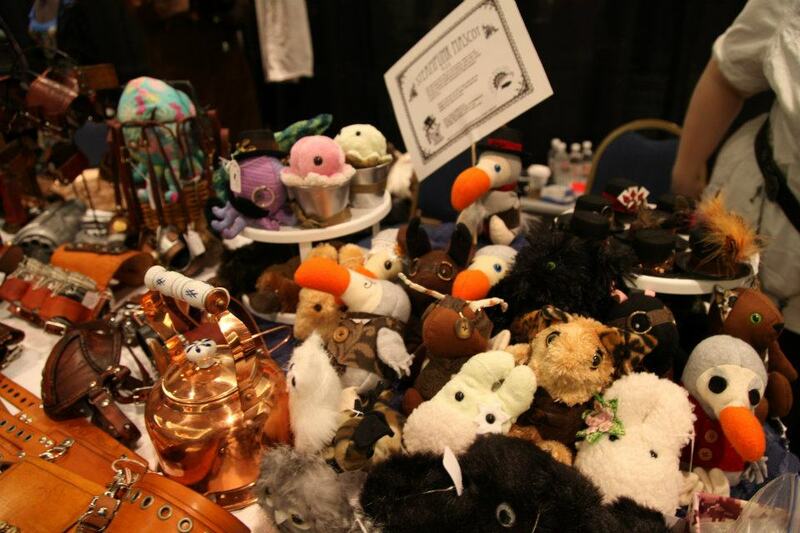 Many of her bears are sold at anime, video game, and scifi conventions to people of all ages. Amelia originally made them to have as companions and friends, like a doll collection to a little girl, but after seeing the excitement on the faces of so many people, she decided to give her bears as gifts in addition to selling them. She realized that the Radical Bears can be companions and friends to everyone. Jesse doesn’t have an etsy store, but you can find this giant, super soft, and cuddly octopus on her table as conventions. 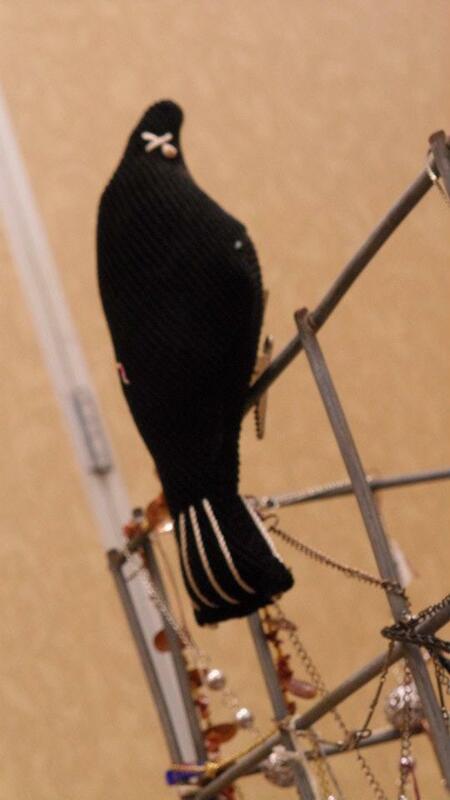 I first saw this big ‘ole tentacle love at Amacon 2012 and I couldn’t keep my hands off of him! Our 1st Officer, Thomas Reinier, snuck off to the table to pay for a custom order for me. Jesse was great about taking requested modifications… I asked for loops on the tentacles so I can use my fingers to move it like a puppet, and some form of clasps on the tentacles so he can hug me and be worn around the con floor. I am super excited to get him! 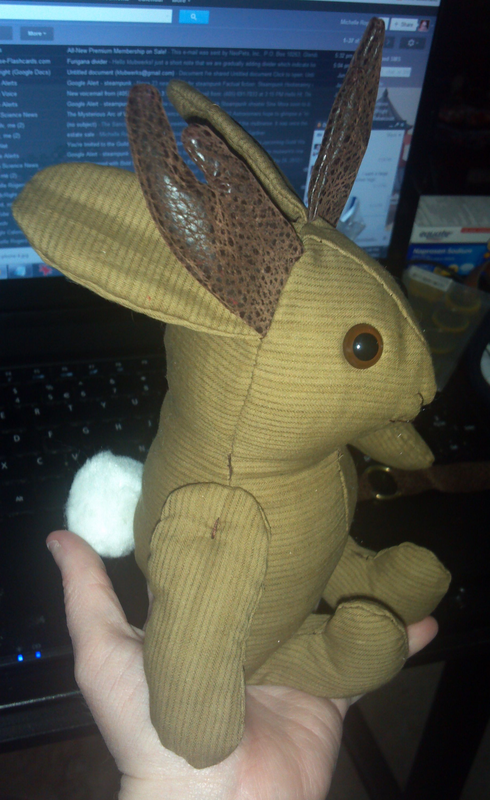 This is the only toy she makes right now, but she’s also working on new patterns for a minotaur and yetti. In fact, we’ve made a pattern trade recently. 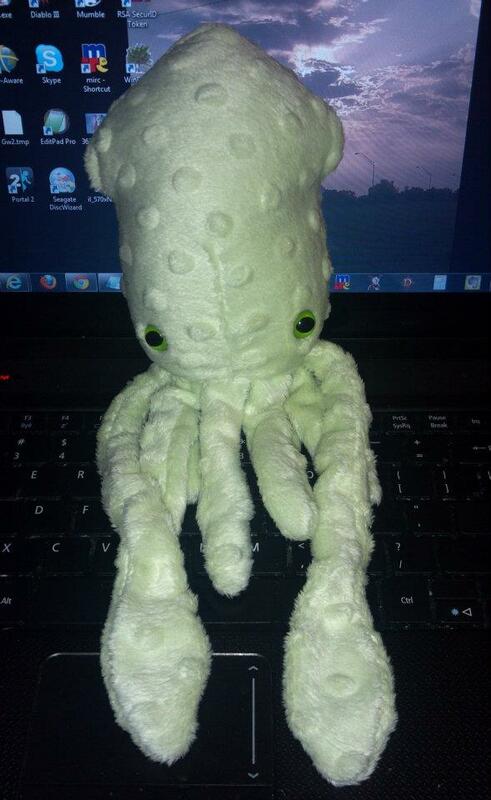 I get to make some small versions of her octopus and she gets to make giant versions of my squid. In the near future, you’ll get to see some little octopus’ on our table with some free promotion for Jesse’s GIANT OCTOPUS! I highly recommend commissioning yourself one. 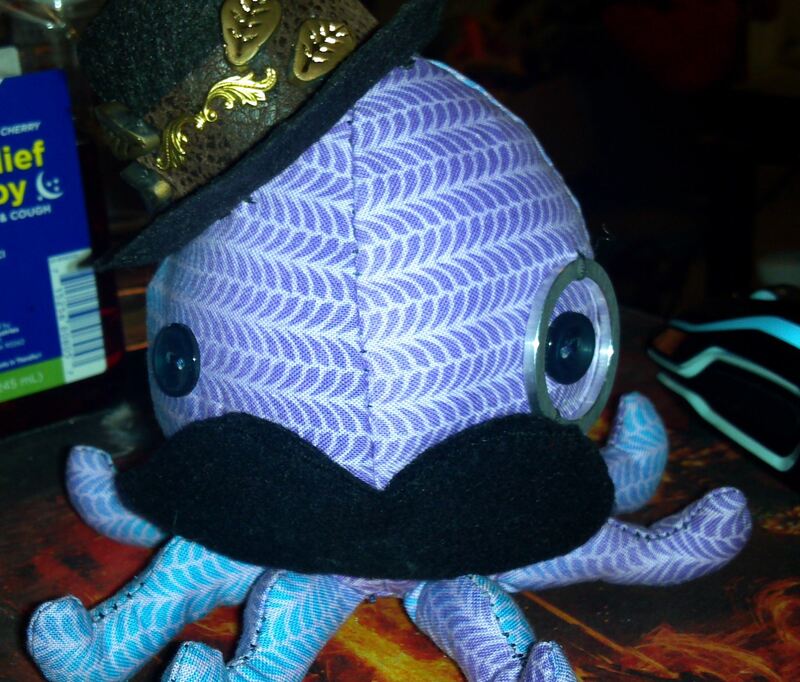 Any good Steampunk Captain needs a pet Octopus right? Dusty Stewart is a member of Airship 67. 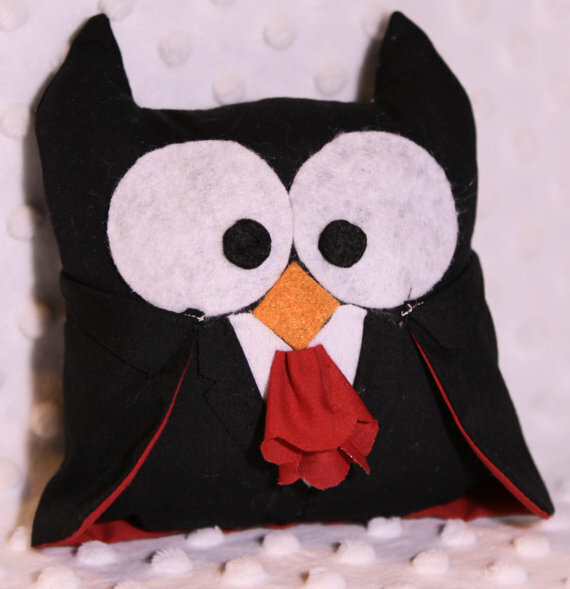 She makes all kinds of owls, from Victorian Clock owls, Pirate owls, vampire owls, Werewolf owls, to Red Queen’s and Alice Owls, and more. 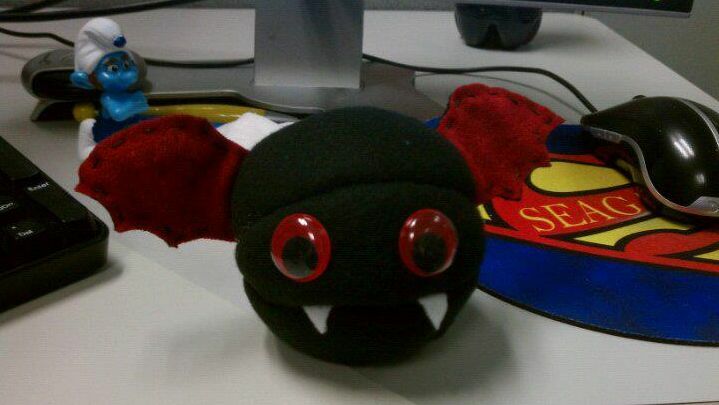 Dusty can also customize them however you’d like and make different sizes too! 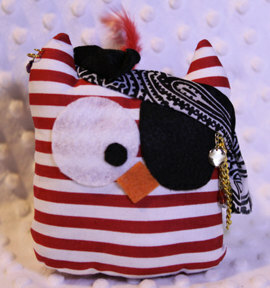 For example, the pirate owls are decorated with hand sewn felt hats, various gold earrings and chains (she has even made one with a nose ring). Check our there etsy shop sometime! Here’s Dusty’s facebook and the Airship 67 facebook. 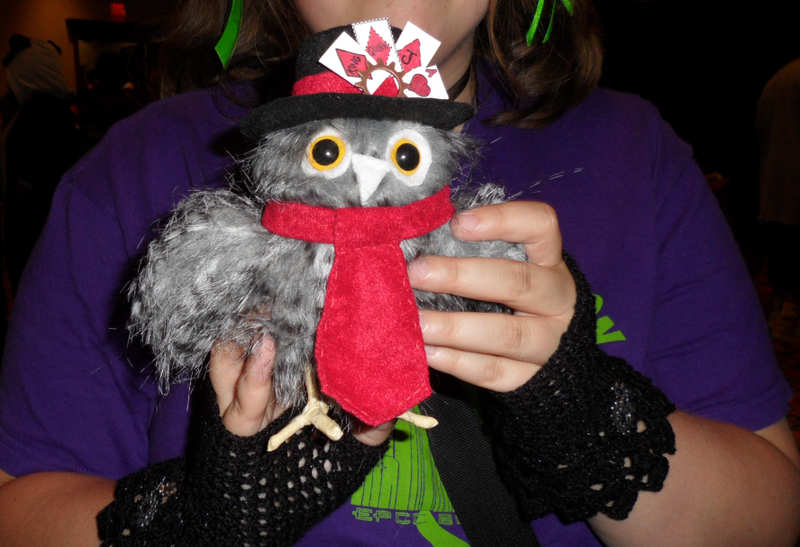 Airship Isabella also sells owls! 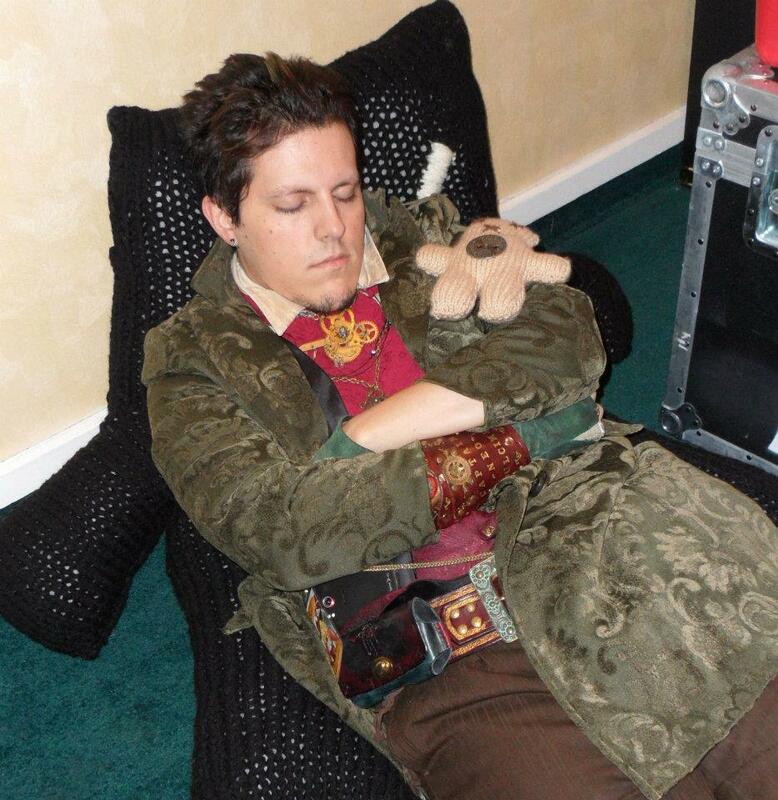 They have a very sweet crew mate, Zebulon Fox, who makes the most charming Steampunk Owls… and crows that can rest on a Captain’s shoulder. 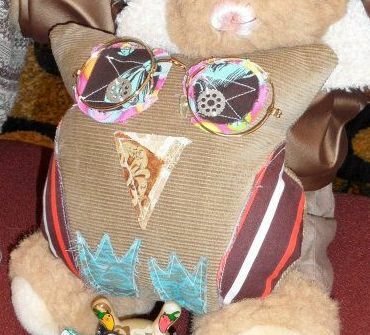 His owls are very colorful with a somewhat patchwork look to them, with gears for eyes and glasses placed at a quirky angle. 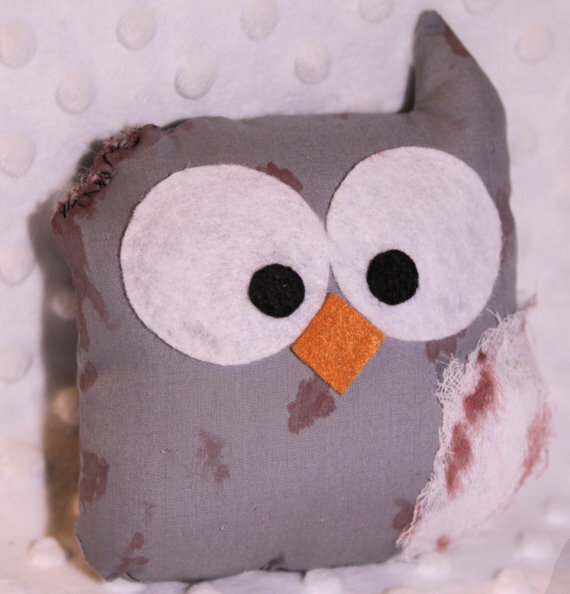 Each owl is unique and full of personality. 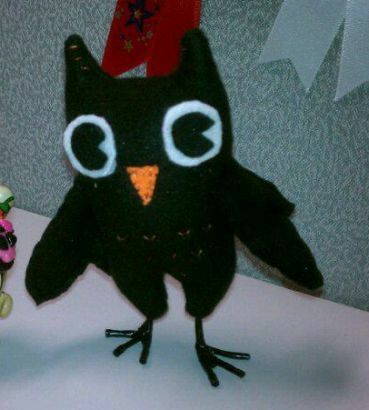 I purchased my “Andy Owl” at Difference Engine – New Years 2011/2012 weekend. 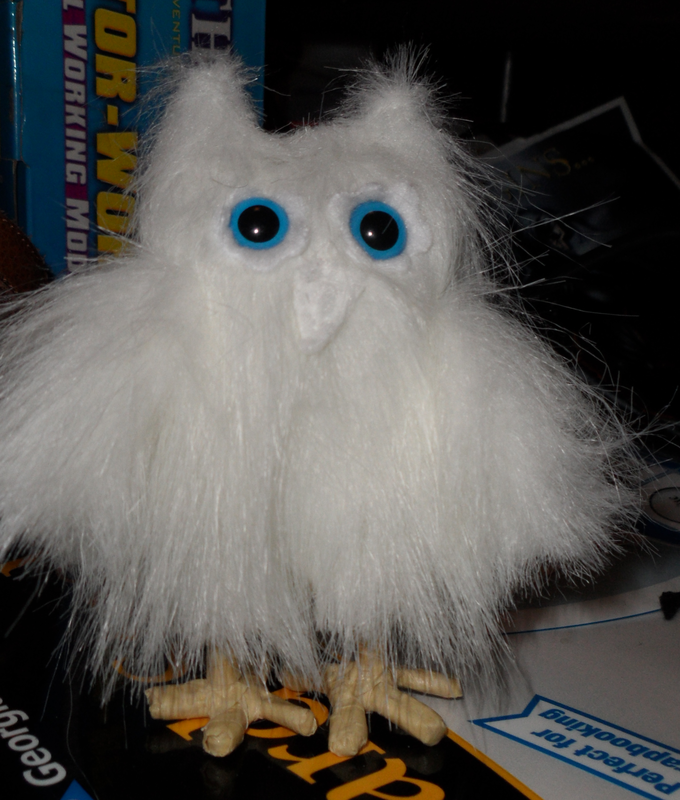 I even have a special snowy owl commission complete with goggles that he’s working on for me! 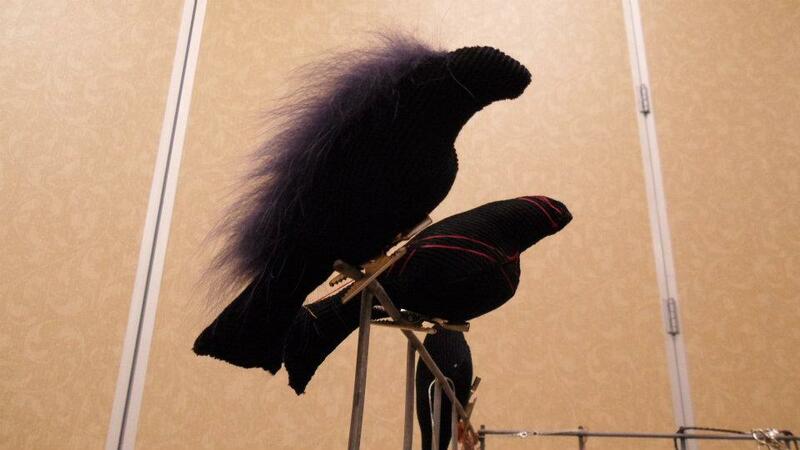 The crows are also very lovely with feathers and a clip on the bottom so you can add them to your costume or clip them to your table for display piece. Airship Isabella goes to an awful lot of conventions, so be sure to check them out, or take a look at their etsy shop! The photo on the right is my Andy Owl. 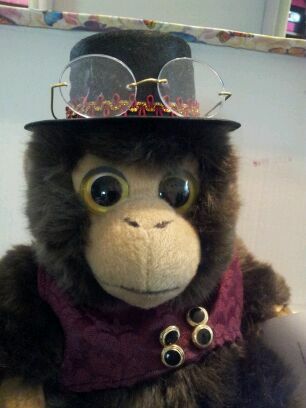 Dahlia De La Croix makes Steampunk’d Monkeys. I don’t know much about them, but from the photos she sent me, they look very dapper, with a nice vest, tophat, and smart looking glasses. 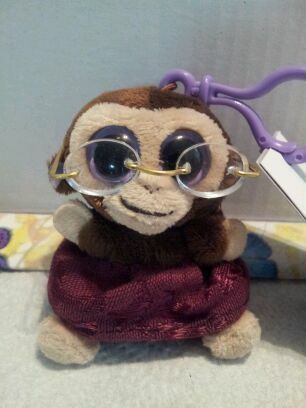 They appear to be store bought monkeys with custom made items added to them to give them their Steampunk flair. That means, you can probably commission something unique for your own monkey. You can contact Dahlia on her facebook to find out! Shea D Aric, who portrays Aleister Kidd II, doesn’t sell toys… yet. He (yes, HE) makes them as gifts right now, but maybe with some encouragement he might be persauded to sell them at conventions. 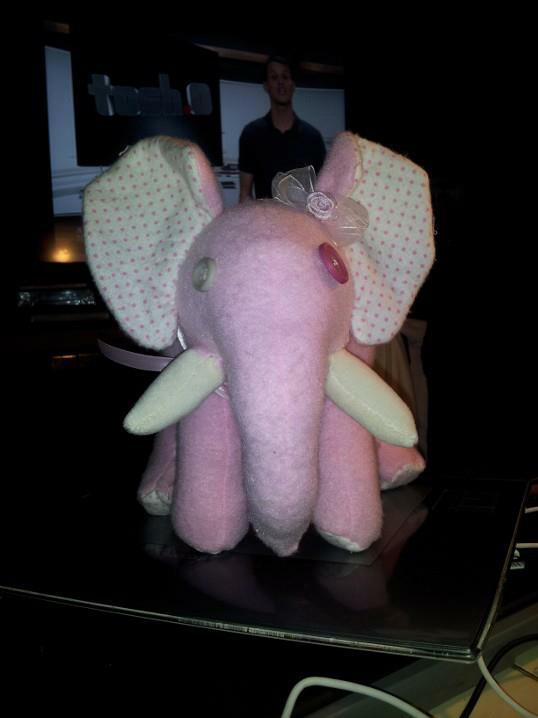 Here’s a darling elephant… ERMERGERD! Don’t you just want one? I’m sure if you ask nicely, he’d be willing to take commissions. Patricia A.W. 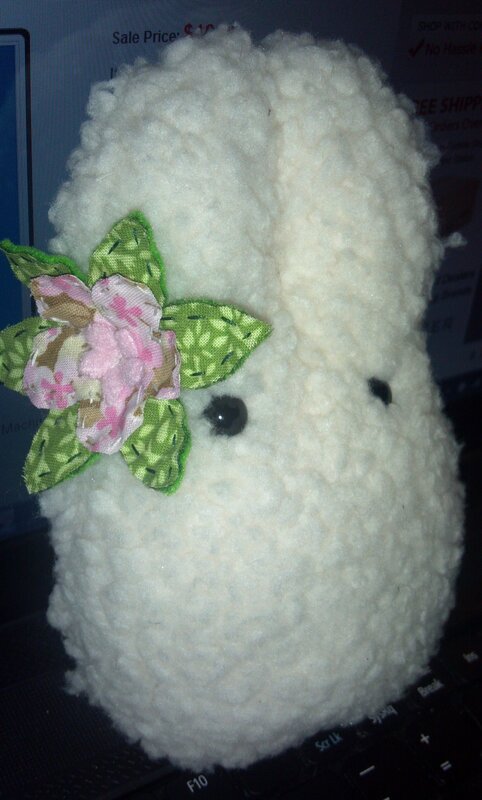 Allison says she makes crazy quilt bears and bunnies. but unfortunately she didn’t have any pictures for me. She says she can make as patchwork toys and that are usually customized. 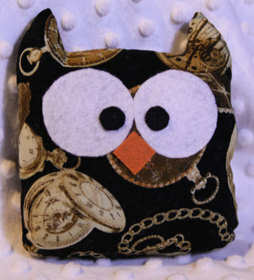 Since they are primarily commissions made to order, they take lots of time to make. 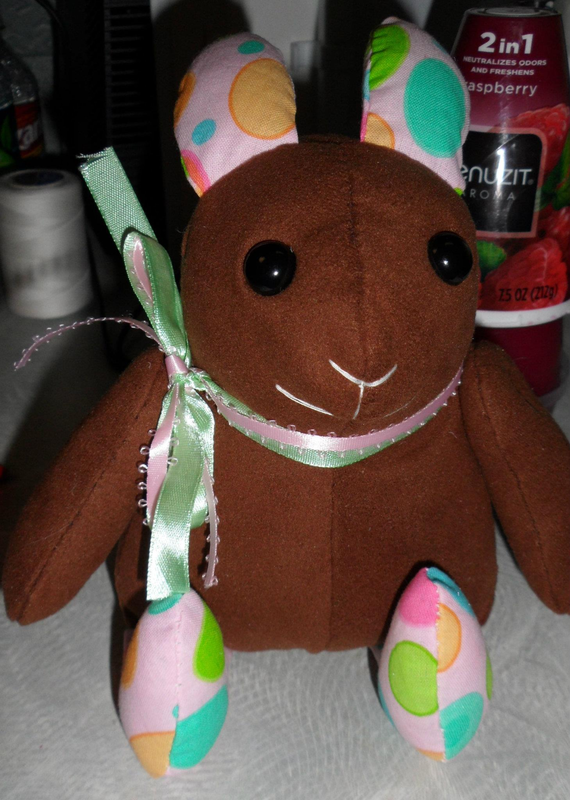 Even Patricia’s pocket bears and bunnies are time consuming, because they are handmade toys. If you want to know more, contact Patricia on her facebook. Kim Ryser is another toy maker who hasn’t started selling yet. 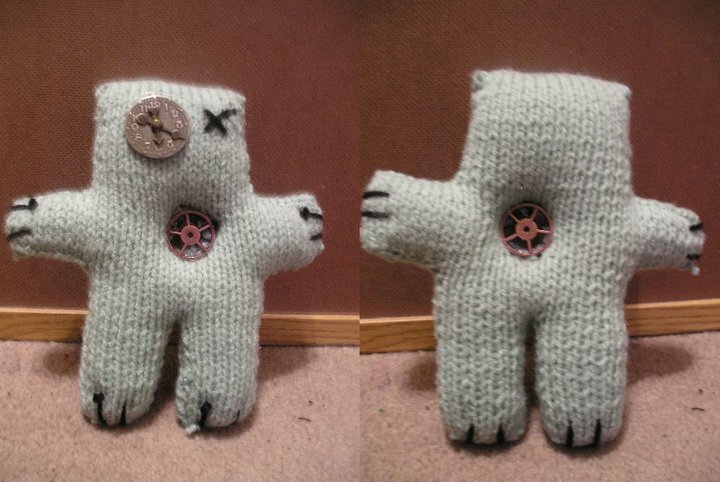 She only had one photo to share right now, because it takes a long time to make her knitted toys. 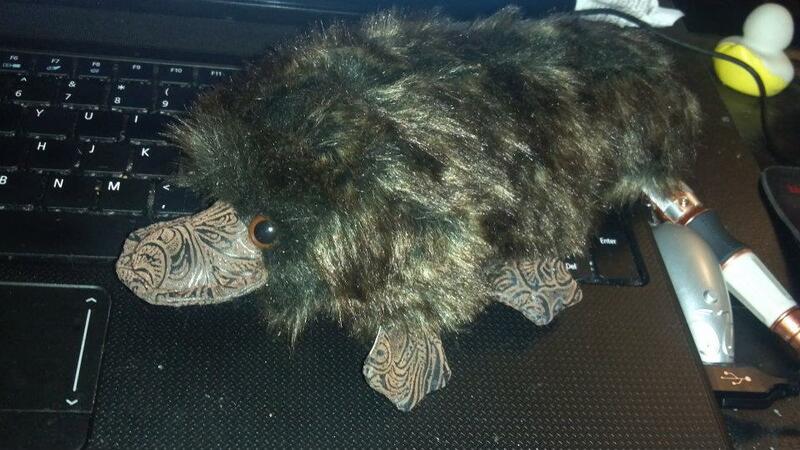 Handmade toys are time consuming, so if you want to commission a toy please be patient! 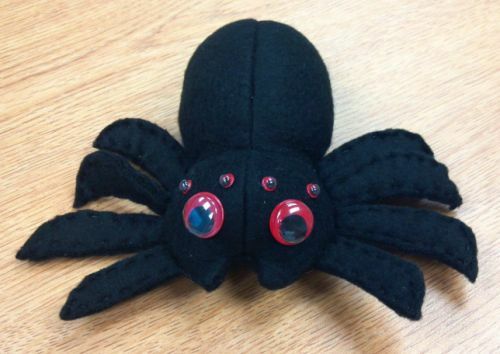 Contact Kim on her facebook to find out more about her toy commissions. Lastly, I wanted to mention that Cheryl Trent always has scraps that she’s needing to get rid of. 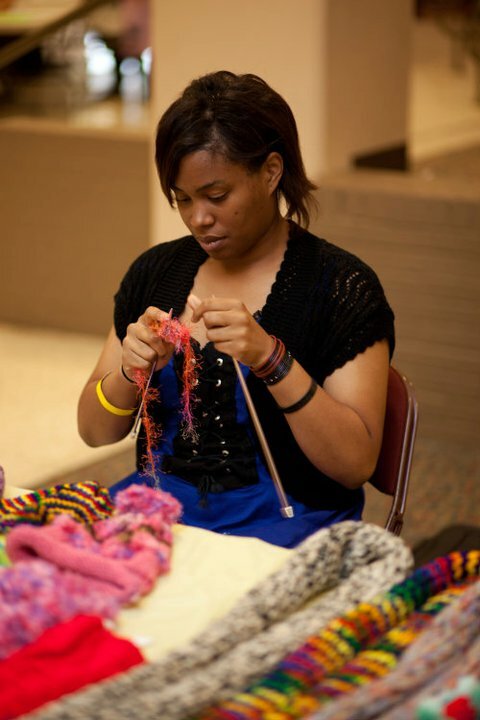 As a seamtress, she often has a supply of scraps that can be used for stuffing toys. She only askes for money to ship the scraps – so otherwise it’s free! 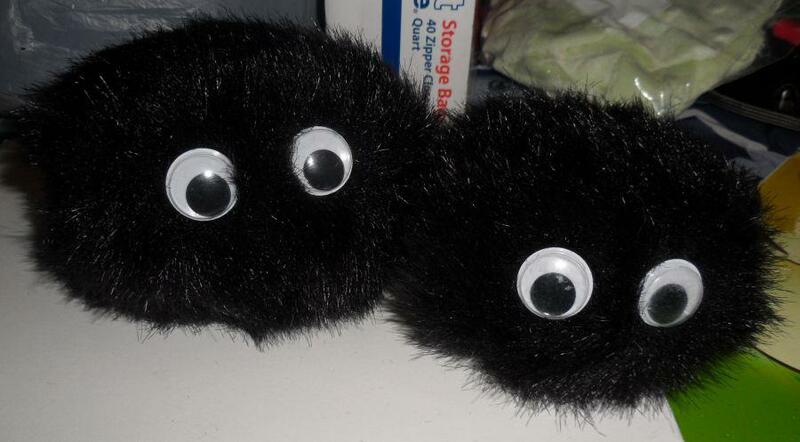 So, if you are looking to get into toymaking and want to use an authentic old-fashioned method of stuffing your toys, contact Cheryl on her facebook. Like all the animals. Just a really neat idea. Normally I do not learn article on blogs, however I would like to say that this write-up very pressured me to take a look at and do it! Your writing taste has been surprised me. Thank you, quite great post.